I work with all parties, exploring the options to ensure agreements concerning the co-existing rights are in place. I have almost 30 years experience in litigation (including 18 in native title) and now practice exclusively in native title claims. I act as a consultant to the Agribusiness Group on native title. I first got involved in native title in 1998. 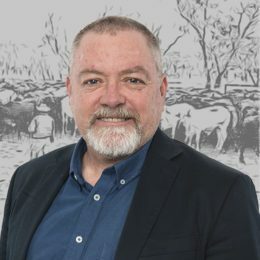 With approximately 65% of Queensland being leasehold land used for grazing and agriculture, many of Thynne + Macartney’s Agribusiness clients are exposed to native title claims. Native title legislation encourages consensual resolution of native title claims between pastoralists and those claiming native title rights. I have successfully navigated through the complex negotiations of over 200 indigenous land use agreements over pastoral land in Queensland covering access to and use of land by indigenous groups, native title holder consent to tenure upgrades and the surrender of native title. I served on the Federal Court’s Prioritisation Committee that developed the prioritisation system for the conduct of all native title applications in Queensland. Mark was named a “Leader in the Field” for Native Title (Australia) by Chambers Asia Pacific, 2015. He was also recommended for Native Title by the Doyle’s List in 2016. I currently represent over 300 pastoral lessees in 35 native title claims in Queensland, and encourage parties to explore solutions that minimise the potential for conflicts over the exercise of native title rights. I hold a Bachelor of Laws from the University of Queensland and was admitted in 1989.